Elections Board Rules Rahm Emanuel Can Run For Mayor Of Chicago : The Two-Way The issue -- his residency -- could still wind up being decided by the courts, however. A challenge involving Rahm Emanuel's legal residence has been turned down by the Chicago Board of Election Commissioners. So the former congressman and former chief of staff in the Obama White House can continue his bid to be Chicago's next mayor. "The election board ... is not expected to have final say on the issue. The losing objectors have a week to appeal the board's decision to the Cook County Circuit Court. The case could wind its way through the court system, including the Illinois Court of Appeals and the Illinois Supreme Court, for weeks." 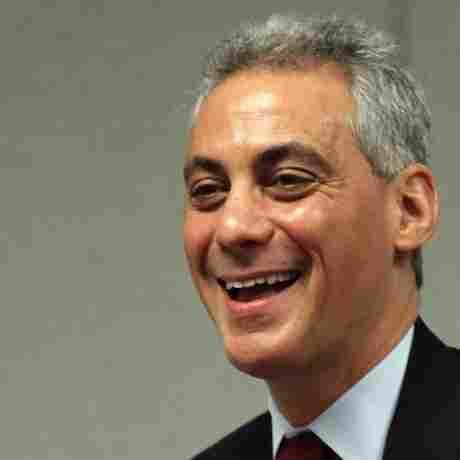 Basically, the issue is whether Emanuel did or did not maintain a legal residence in Chicago during the nearly two years he worked in the White House. As Frank says over at It's All Politics, "in a recent Tribune poll Emanuel led all candidates, coming in with the support of 32 percent of those surveyed."